Tottenham are so close to reaching the very top - but their lack of transfer business will hold them back, says Jamie Redknapp. Tottenham have become the first Premier League club since the transfer window was brought in to not make a single summer signing. And that, for me, is a big mistake. Don't get me wrong, I think Spurs have a fantastic group of players. And in Mauricio Pochettino there is no doubt they have a world-class manager. You can't improve on Harry Kane up front. Christian Eriksen, Dele Alli - it would be very hard to bring in anyone who could replace them. In fact, go through the team - Kieran Trippier has proven himself to be a world-class right-back, they have good options at left-back and in midfield, while their centre-backs are all strong. Keeping Toby Alderweireld was a great piece of business. There's no doubt: they're very close to doing something special. But they are just missing that extra option for when things aren't going their way. That superstar who can pull them over the line when they're struggling. I'd have loved to see them push the boat out and sign Anthony Martial. But that's not how they operate. They won't pay big money for players. Tying down Kane and Son to new contracts was a good move by chairman Daniel Levy. And there's no question that, of the top six, Spurs are the ones who didn't have a really clear area they had to strengthen in this window. But ultimately I think this summer, in terms of their transfer dealings, has been a step backwards. I'd actually argue last season was a step back, too. They were 2-0 up against West Ham in the League Cup and lost 3-2. They snatched defeat from the jaws of victory against Juventus in the Champions League. They didn't turn up in their FA Cup semi-final and they finished a place lower in the Premier League. I can absolutely understand the frustration of some Spurs fans now who are asking: why haven't we pushed on? 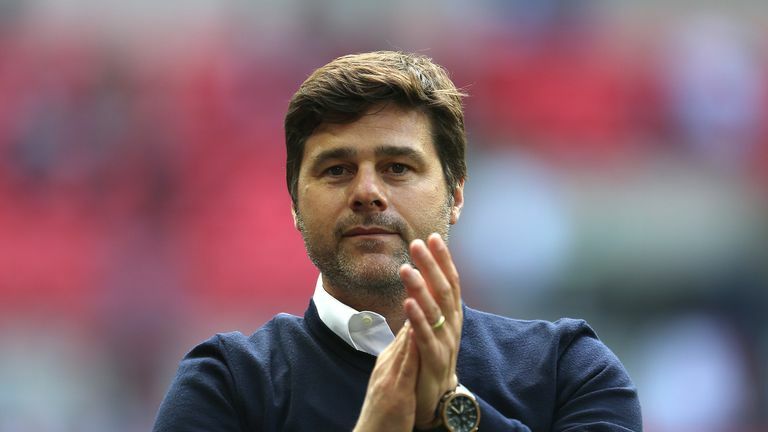 Pochettino spoke about the club needing to take risks at the end of last season. Well, they've threatened for a few years and now they need to become a team which wins things. They're trying to compete on all fronts, and they need real strength in depth beyond that impressive XI to do that. I'm predicting Liverpool will finish above Tottenham this season, and there's an interesting contrast between those two clubs. They're moving into a brilliant stadium, their training ground is fantastic and everything is in place to have a real go. But you just wonder whether they have the ambition to do that. A year or two ago it looked as though Spurs were going to put real daylight between themselves and Liverpool. But the owners at Anfield have sensed an opportunity and acted, spending big money on players such as Naby Keita, Fabinho Alisson and Xherdan Shaqiri. There's a real determination to seize the chance they have there. Spurs, likewise, have an opportunity they haven't had for a long, long time. They're moving into a brilliant stadium, their training ground is fantastic and everything is in place to have a real go. But you just wonder whether they have the ambition to do that. By not sealing a big deal this summer, it is almost as though they're trying to play down the expectancy on them. Whereas at Liverpool, they're going into the season full of excitement, feeling closer to the very top than they've felt for a long time. People say, well that spending has ramped up the pressure on Jurgen Klopp and his team. Yeah, so? Who wouldn't you want the pressure that you can win the league? Meanwhile, at Tottenham, it feels more like they're going into the season looking over their shoulder a little, trying to maintain their position. Which is a shame. Time will tell. I still think Tottenham will finish in the top four, above Arsenal and Chelsea. But it's that bit of negativity they didn't need to have around the club. Everything was in place for them this year and it just feels a little bit of a frustrating start to the season when everyone was thinking: 'now kick on'. And what they don't want to happen is for things not to work out over at Real Madrid this year, for the Spanish club to come to Pochettino and him to feel Spurs haven't matched his expectation and ambition. Everyone knows the allure he has. And Spurs don't want to lose him. Spurs head to Newcastle on Saturday for their Premier League opener and find another club where the supporters would have wanted more from their transfer window. It always feels like it is one thing after another at Newcastle. I look at them and I'm not looking at a top 10 finish but can they stay up? That's the main objective for them. Rafa Benitez isn't happy. He isn't always easy for owners to deal with, he's like a politician and he'll work the crowd on side and manipulate the club against the owners if he needs to. But that's not a hard job to do there, where Mike Ashley is obviously very unpopular. I used to love playing at St James' Park, I'm desperate for them to build and have a big club mentality again. But it needs new investment. When you look at what Fulham have done this season it puts it into perspective. The money they spent on Aleksandar Mitrovic - which could rise to £27m - eclipsed Newcastle's record transfer by a long way. Newcastle paid £16m for Michael Owen back in August 2005 - every other Premier League club has more recently broken their transfer record. It speaks volumes about the lack of investment at Newcastle and it could be a long season ahead. I fear the supporters will be going home unhappy on Saturday, too, as I'm predicting a Spurs win.